Black Cow Press - "A Free-Rangin' Publication." 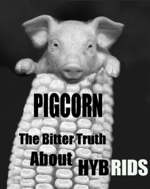 Voted "Best agricultural and political coverage in North America 2013" ~by the editor of B.C.P. "Everything Is Going To Be O.K." Volume 12 - "EVERYTHING IS GOING TO BE O.K." Dr. Dewey: "How Healthy Is Your Democracy?" BCP Editor Resigns. Feud Erupts Between Rival Successors. Black Cow Verse: "The Tragedie of Lepropais"
This verse fragment from the epic Melatauros Cycle, was discovered in Delphi in 1255, and has since been dated to the late 3rd century BC. It follows the episodic adventures of a Greek prince journeying from Sparta to Byzantium. This section of parchment contains the oldest extant reference to goat song or "tragoidia," the origin of our English "tragedy." Volume 10 - "MORE ON W."
Readers' Poll: "Wassup wit' Dubs?" 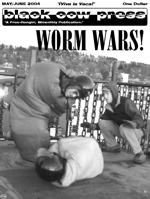 Volume 9 - "WORM WARS!" Breaking News: VERMONT WON'T ACCOUNT FOR NUKES. Breaking News: HOT FOR TEACHER! 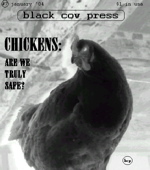 Volume 7 - "THE CHICKEN TRACT"
Black Cow Verse: "The Death of Liberace"
Editorial Page: "Chickens ...Are We Truly Safe?" � Copyright Black Cow Press. All Rights Reserved.